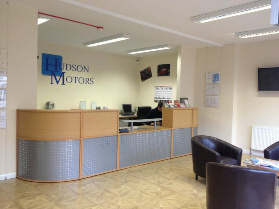 Here at Hudson Motors in Skegness we pride ourselves on customer care. We aim to provide you with a service that leaves you happy and satisfied. We carry out routine and breakdown repairs on all makes of cars, light commercial vehicles and motorhomes. We can carry out MOT tests on class 4, 5 and 7 vehicles including most motorhomes and quad bikes. We can diagnose warning lights and running faults with engines, ABS and traction control systems with the latest diagnostic equipment. Hudson motors Skegness is approved by VOSA (The vehicle operator services agency). We are approved for Class 4, 5 and 7 Vehicles. This means we can MOT quads, cars, motorhomes and vans, all vehicles aged three years plus are required to be inspected annually. We are open to the public for servicing and repairs and our fully trained staff are always happy to help advise any of our customers free of charge. Hudson Motors Ltd are pleased to announce that we are now able to perform Hackney Carriage testing (taxi testing), as part of the Lincolnshire County Council approved testing stations. Please contact us for further details. 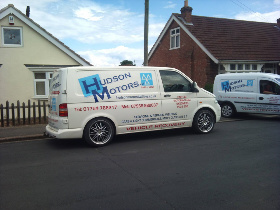 All work carried out at Hudson Motors Skegness is done so by our fully trained mechanics. 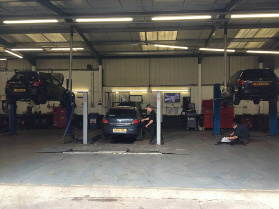 If your car or van needs a service just give us a call on 01754 766217 or if you prefer use our contact form. If using the online contact form we aim to reply to your enquiry within 24 hours.